PURCHASE, N.Y. -- PepsiCo Inc. is continuing to tap into demand for sparkling water with its Bubly Fountain. Earlier this year, the Purchase, N.Y.-based company launched Bubly, a calorie-free sparkling water, with two TV ads during the Oscars. In its first year, Bubly is set to generate about $100 million in revenue. PepsiCo Foodservice is now spinning off the drink line into a four-valve fountain. The beverage behemoth told Bloomberg that it is installing dozens of Bubly Fountains in California and Nevada. Besides convenience stores, San Diego State and the University of California-Berkeley are also adding the devices, as are offices and hotels. The units can gather data that will likely influence Bubly’s next flavor rollouts. “The insight allows us to learn a lot about consumer preferences,” Anne Fink, president of PepsiCo Global Foodservice, told the news agency. Consumers seem to be embracing the drink, which is directly competing with LaCroix. About half of Bubly consumers are buying two or more flavors per trip, according to a recent PepsiCo survey. As of Dec. 1, the drink is the best-selling sparkling drinking water on Amazon. Flavored waters are one of the fastest-growing beverage categories in limited-service restaurants, up 19% since 2016, according to Technomic’s 2018 Beverage Category Menu Insights report. 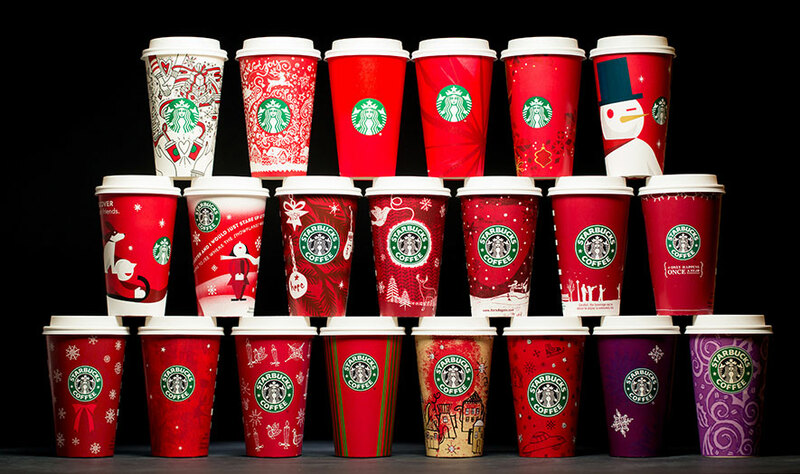 CHICAGO -- Even before consumers have come down from their pumpkin spice buzz, they will likely already be hankering for their red Starbucks cup, holiday music, twinkle lights and all the things that make them feel warm and fuzzy inside. “In the winter and colder months, customers look for heartier, full-bodied and sustainable items that they can connect to emotionally and provide the same sense of warmth,” said Jenna Kolanda, foodservice chef for The Hershey Co., Hershey, Pa. Holidays are all about tradition, so c-stores might not want to veer too far from the classics. When it comes to decadent desserts, the flavors of chocolate, caramel and peanut butter still take the cake, Kolanda said. “We will continue to see these favorites on menus, but kicked up a notch with trending flavor infusions such as cinnamon, horchata, cardamom, chai and green tea, which remain prevalent,” she said. 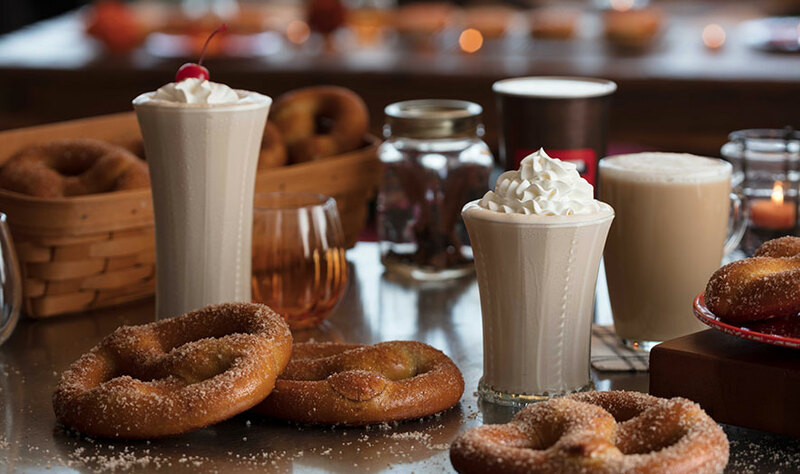 Traditional wintery flavors such as cinnamon, gingerbread and hazelnut will likely return in full force, according to the Season’s Eatings Winter 2018 report from CSP sister data company Technomic. 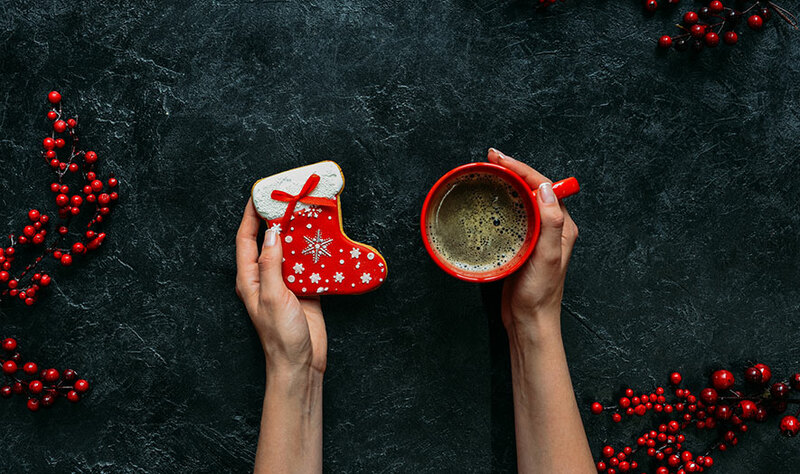 Irving, Texas-based 7-Eleven is gifting fans of its bakery assortment with Holiday Sandwich Creme Cookies in gingerbread, peppermint and salted caramel flavors. Some flavors, however, are taking on new forms. Menu mentions for hazelnut butter are on the rise, along with interest in kids items including hazelnut, according to the Technomic report. Operators may experiment with traditional flavors remixed in warm skillets with spiced or herb-infused ice cream, as well as fried doughs with dipping sauces, Kolanda says. But don’t expect too much variation from fall to winter, she said. Gourds and peppermint will likely remain on menus. As an example: For the winter holidays, Tulsa, Okla.-based QuikTrip Corp. has a pumpkin lineup planned, said Mike Thornbrugh, manager of public and government affairs. QuikTrip’s Pumpkin Pretzel is topped with a sweet cinnamon and sugar blend and stuffed with a pumpkin filling. 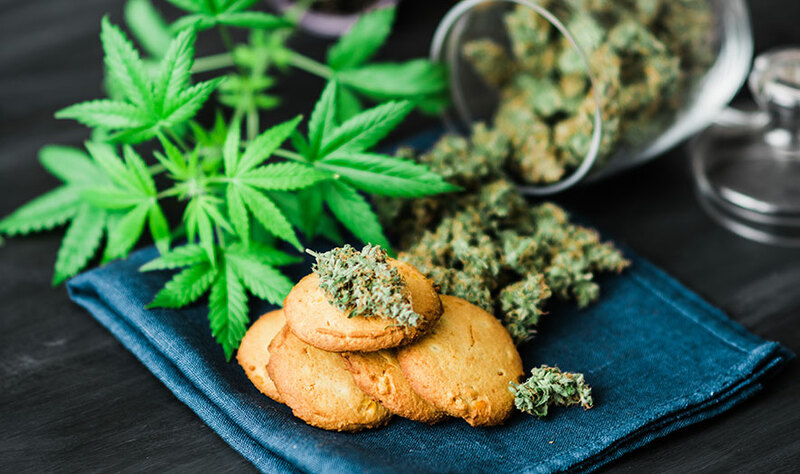 The buzz around cannabidiol, also known as CBD oil, looks like a recipe for profits, said Jessica Williams, founder and CEO of consulting firm Food Forward Thinking LLC, Louisville, Ky. Williams expects to see CBD-laced beverages, candies and chocolates this holiday season—all items CBD producers and home cooks alike have been experimenting with over the years. CBD could get an extra push into the mainstream, however. “The proposed farm bill could make industrial hemp more like a commodity crop, and if it passes, we will see growers, processors and manufacturers all scrambling to claim their piece of the market,” she said. 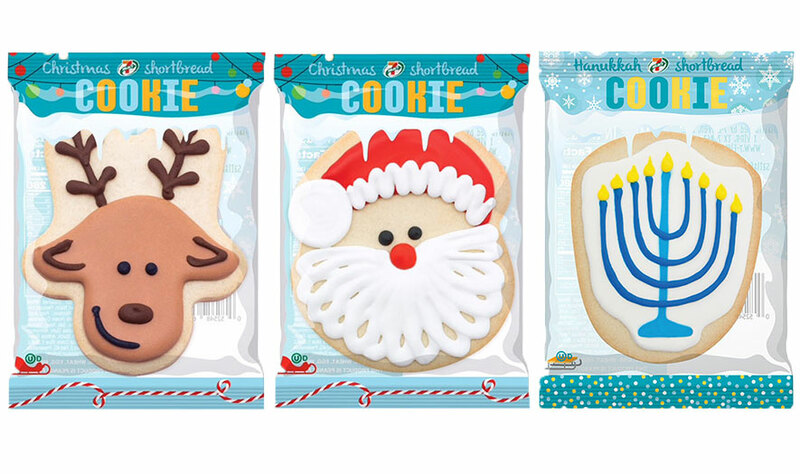 This holiday season, 7-Eleven is offering more cultural representation with Hanukkah iced cookies, in addition to Christmas iced cookies. Although the holidays are often a time to indulge—until New Year’s resolutions kick in—they also offer a chance to experiment with healthier takes on seasonal mainstays. 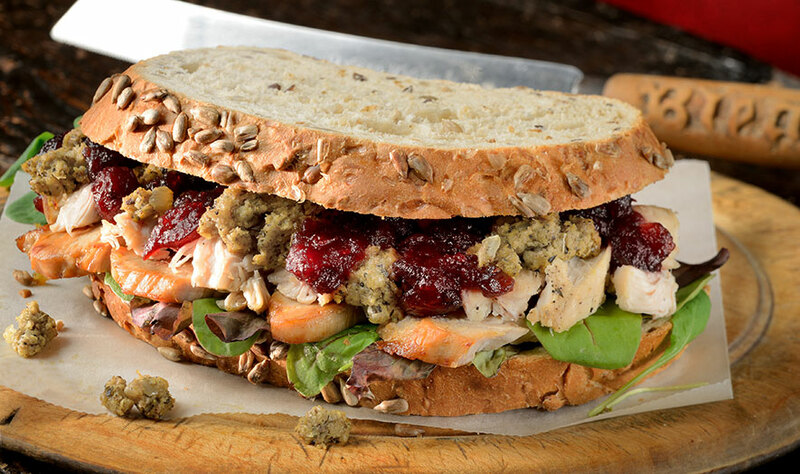 Last year, Pilot Flying J, Knoxville, Tenn., released a Turkey Cranberry sandwich, made with a wholesome cranberry bread, bacon, turkey and cheese. More operators are lightening up menus with cranberries, calling them out as a gut-friendly ingredient that aids in digestion, the Technomic report says. Former retailer and c-store consultant Jerry Weiner said retailers can capitalize on the growing demand for healthier options during the winter with more turkey-based items, such as bacon, sausage and burgers and other meat substitutes. For health-conscious customers with a sweet tooth, operators can substitute chocolate flavors and sauces with carob, a sweet Mediterranean seed pod, according to the Technomic report. Winter eating occasions might skew toward indulging with a group and participating in holiday gatherings and gift exchanges, Kolanda said. Operators can accommodate these events with more experience-driven items. “Shareable and interactive desserts will continue to grow and come into the spotlight,” she said. Williams expects to see c-stores’ artisan coffees packaged as stocking stuffers near doughnuts, self-serve coffee counters and checkout lines. “Small gift baskets and boxes are easy to stock, have a long shelf life and offer an opportunity to co-brand with chains’ own coffee brands,” she said. Who Won National Coffee Day?